Illustrator’s Group Brief, September – October 2013. I am a member of the Just Imagine Illustrator’s Group and we meet on the first Tuesday of the month and either discuss the progress of our own work, or look at the results of any project briefs we’ve been set. We quite often have visitors and talks from published illustrators, in which case they will set us a brief, (more will be posted on here regarding the outcomes of briefs set by published illustrators). This month’s brief was to consider some birthday card designs for the Just Imagine shop – the brief from Nikki Gamble was to come up with something refreshing and different from the usual stuff you see out there for kids birthdays. I quite like what I have done – especially after struggling for a fair bit with this brief. 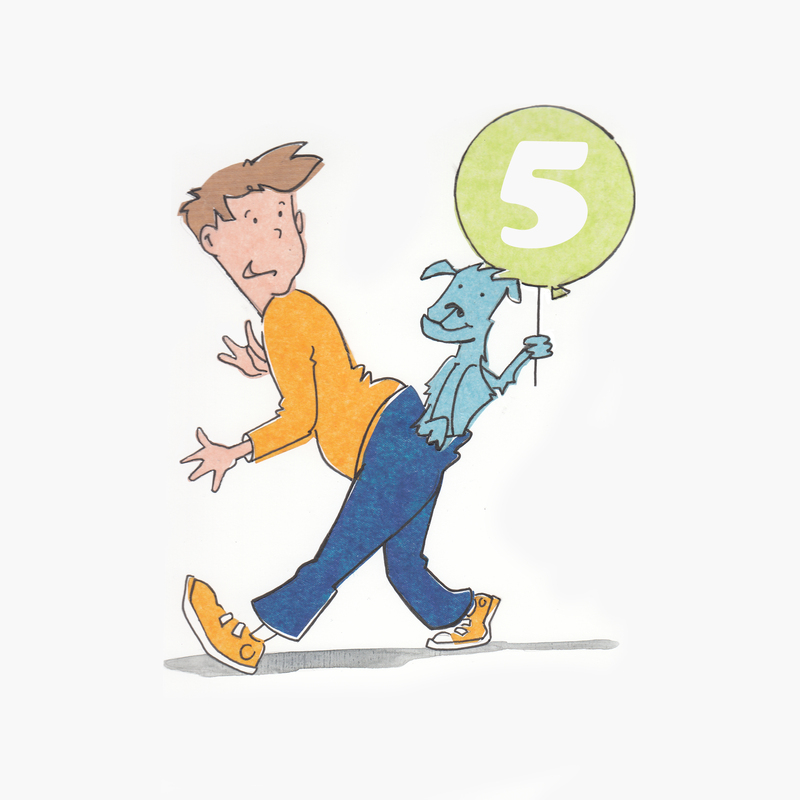 For the No 5 card design I have borrowed from Dr Seuss, and I think I have a few more ideas which will be inspired by his artwork. I love the way his characters are so animated and lively. When I try to draw ‘finished’ artworks I usually over-labour the drawing and this results in a lifeless, stagnant sort of image. Although I have been inspired by his characters I have treated them in my own way, using a different technique and materials to complete the final artwork. Both these images with numbers have been created using tissue paper with pen outlines. The numbers are added afterwards using a software package. 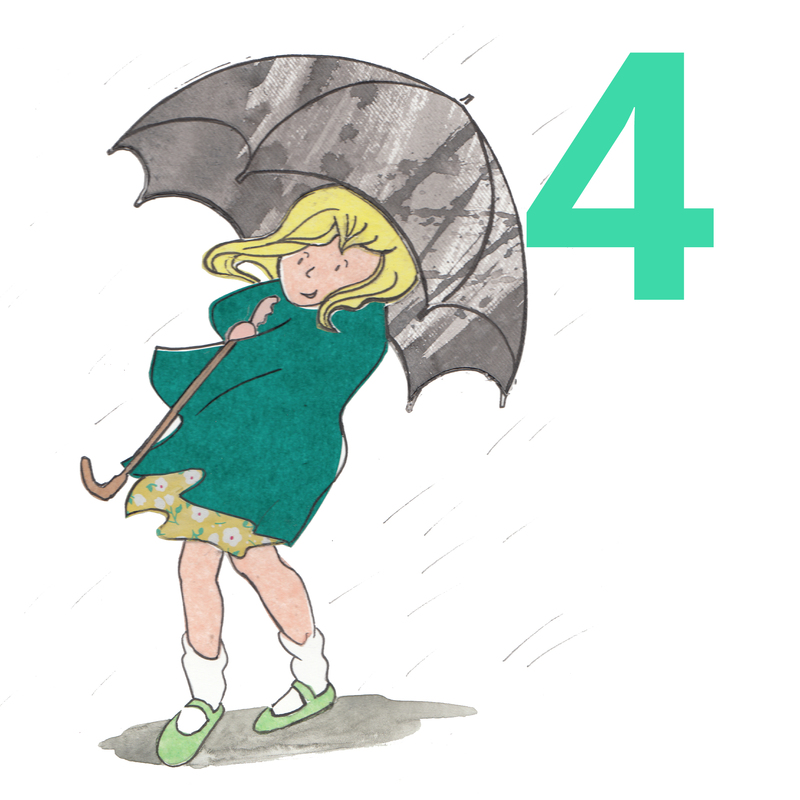 The second card image, No 4, is influenced more by the drawing style of Judith Kerr or Shirley Hughes. Both of whom I admire for their observational skills. The top, sketchbook image, has also been influenced by Dr Seuss – although trees stem directly from observational drawings of tomato tops and the monkey character is ‘mine’. Is this worth following up, do you think? Perhaps with a less languorous looking monkey character? Maybe a chameleon or a sloth instead? Your feedback, comments and ideas are welcomed on this (contact from to bottom of this post so you can do so). Well, if I have time I may see what else I can do in the Dr Seuss vein… but are they too similar to be considered anything other than plagiarism? When does ‘being influenced by’ become ‘plagiarism’?